This photo is a mystery to me as I didn't know he was in a band. 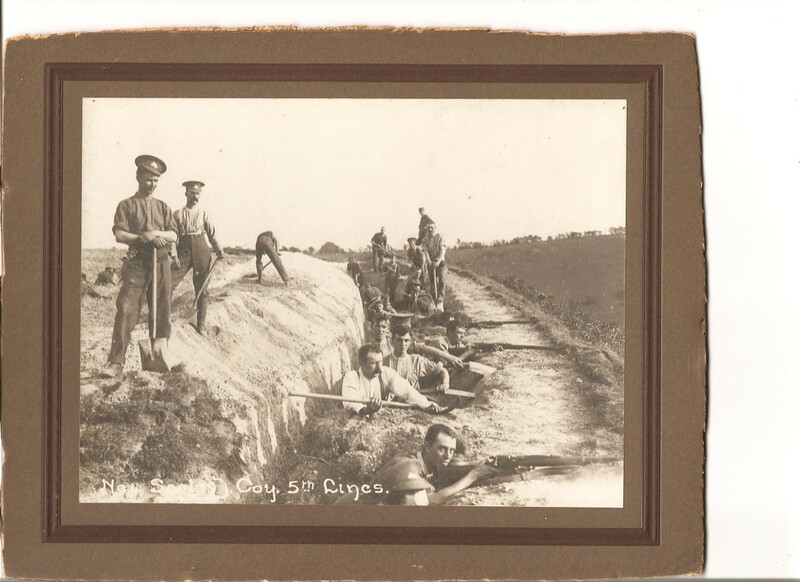 It would appear to be Anglo Boer War time as he has Corporal stripes on his sleeve. Arthur Spencer is second from left kneeling holding a drum stick. I have no other information on this so any help is welcome. I have found a bit of information on the above band picture. 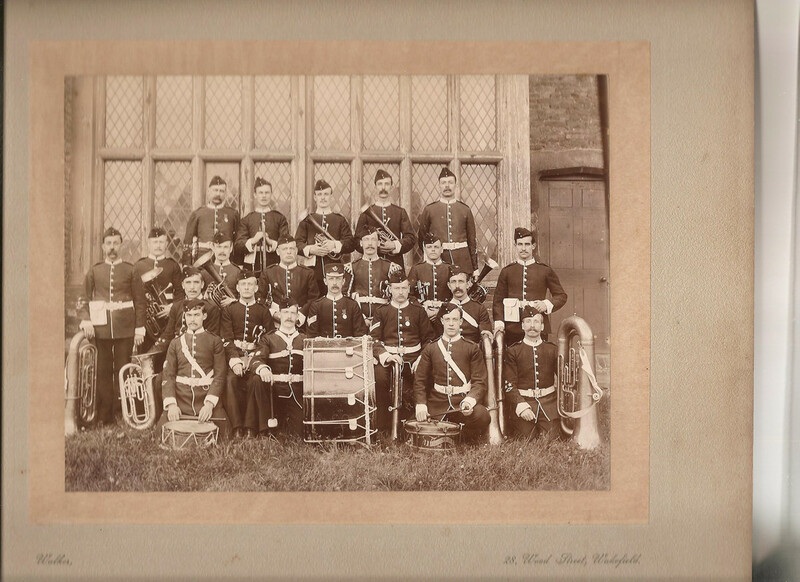 It is the Territorial band outside Gainsborough Old Hall some time between the Boer war and WW1, probably around 1907. 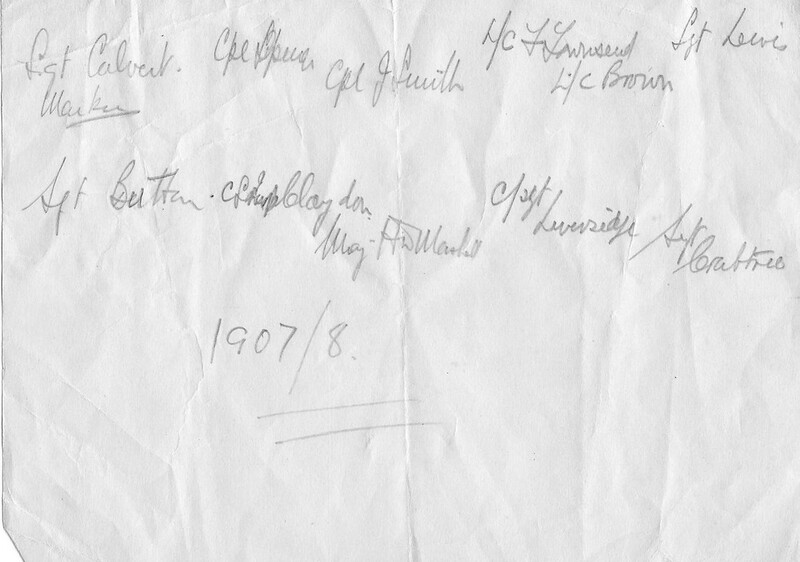 My mothers notes say Arthur Spencer is on the far left kneeling. I'm not sure she was correct and think he is second from the left kneeling. 1907 Herald Shield winning team and names of the members. Great Grandfather is second from the left standing. I have the small badge type shield give to all members of the team. About 25 years ago I showed the picture and badge to Henry Marshall of Marshalls of Gainsborough Engineering firm, who I had known from birth as he was a great mate of my grand dad. He said "yes, that's father the Major and I still have the big shied at home." The link between my Grand dad and Henry Marshall the younger is clear, they were apprentices together in the 1920s at Marshalls works but what the relationship between my Great Grand father and Henry Marshall the older was before the Herald shield team was is less so. They obviously knew each other at the time of the Boer War as Henry Marshall's (the older) address is in his Boer War notebook and he mentions sending letters to him. Great Grand father worked at Marshalls as a turner but it seems unlikely that the owner and big boss of the works would befriend a lowly turner without there being some other connection. Possibly they knew each other from the volunteer brigade of the Lincolns before the Boer war. Grand father joined that in 1898. The 5th Lincolns during training in 1914. Probably at Luton or Stanstead. 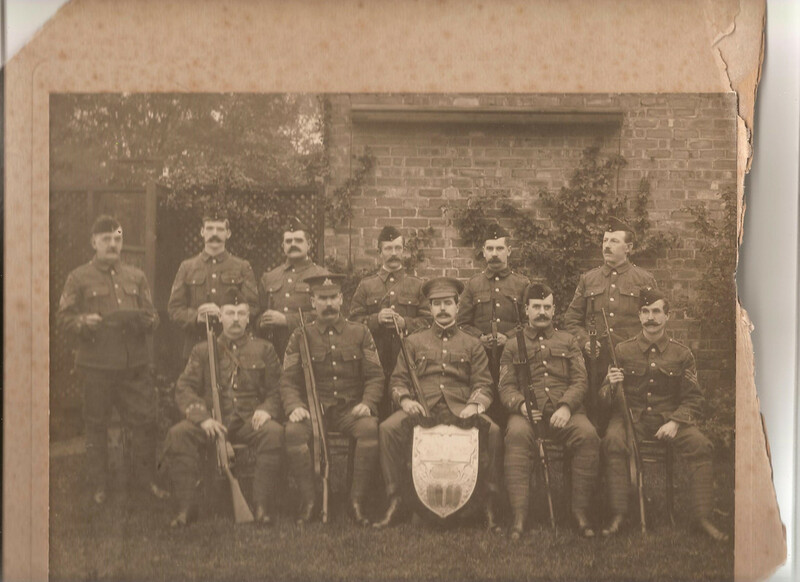 A sergeant by now, Arthur Spencer is second from the left.